According to CFTC data, hedge funds portfolios added 387.5K longs and 106,2K short positions. Therefore net long bets rose by 281,2K. The weekly change is still below the February upsurge when money managers additionally poured 413,6K long contracts. It is particularly interesting to review positioning of swap dealers in the CFTC report. According to the agency swap-dealers are speculative hedge funds which cut their risk exposure related to commodity trades and common producers. Their hedging activities serve the purpose to protect their business while money managers are operating in the interests of their clients. As the market trades in backwardation we can conclude that a handful part of their trades accounts for hedge funds and not producers. 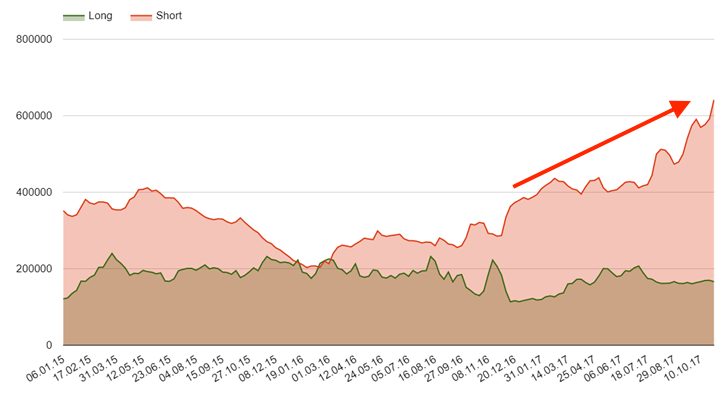 The amount of short bets opened by swap dealers to the week ending 31 October totals 641K contracts or 38.5B dollars. 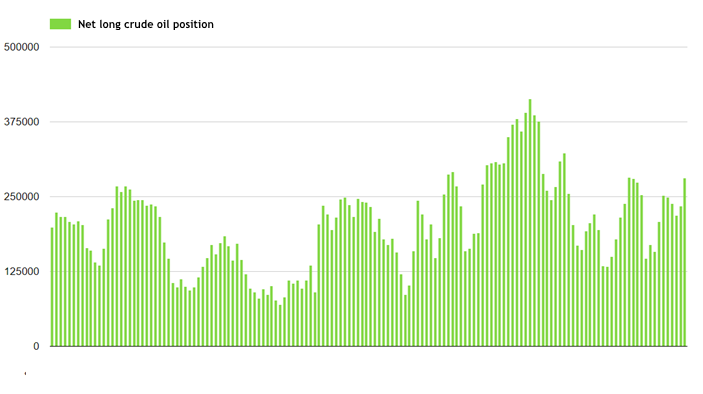 Meanwhile long positions have been practically remained unchanged for a long time. Which OPEC country pursues the most OPEC+ pact? To analyze that simply take a look at what ensures a government’s financial stability – government budget. According to the estimate of IMF Saudi Arabia, biggest oil exporter needs the oil price at $73,1 per barrel to balance a budget in 2017. Next year prices should stay at $70 to help the kingdom to avoid budget deficit. To balance a budget Saudi Arabia needs to push prices even higher while other oil producing nations such as Russia or Qatar adjusted their government spending and revenues to $40-50 per barrel. “Breakeven” level for Iraq and Iran is at 54,1 and 54,7 dollars respectively, while in 2018 the favorable price of oil for them is 56,2 and 57,2 dollars per barrel. As we can see Kuwait and Qatar are the best prepared countries among OPEC members for headwinds on the energy market. The budget deficit of Saudi Arabia has already eaten into foreign reserves also forcing the kingdom to pile up unwelcome public debt. 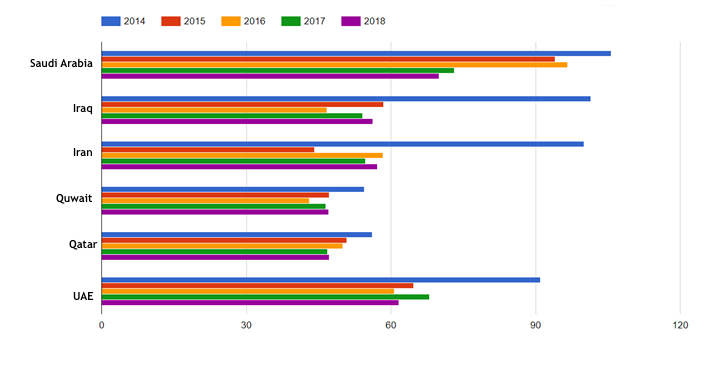 Starting from 2014, the safety cushion has shrunk by 1/3 and will continue to do that further if OPEC fails to convince the market that oversupply is clearing. Public debt soared from 1.6 to 13.1% to GDP as a rigid government spending system is hard to adjust because the loyalty of nation to ruling elite is heavily dependent on social benefits. That’s why we can expect extension of the OPEC pact as well more efforts from Saudi Arabia to support the market because the price staying idle is very high – political stability of the kingdom.